BMW is bringing its DriveNow car sharing program to San Francisco. 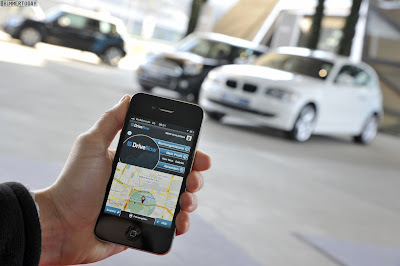 DriveNow is the first car sharing concept to place an emphasis on efficient premium vehicles and comprehensive service, and the first luxury automaker to run a car sharing operation in the United States. Mercedes recently launched their car2go all-electric cars haring program, but its fleet consists of Smart fortwo vehicles. BMW says that 70 ActiveE electric cars can be rented hourly and they are parked at nine garages in San Francisco area. The cost to the consumer is $12/half-hour with each additional driving minute costing $.32, or $90 per day up to 180 miles. Kicking off the program in San Francisco is a strategic move since the city has been known to be very eco-friendly, as well as the hometown for startups that provide car sharing services. The Munich-based automaker is not saying whether the program will head over to other cities, but if proven successful, we foresee metro areas like Los Angeles or Miami to be considered for the car sharing offering. With DriveNow, customers will be able to find available vehicles via the internet under www.drive-now.com, via a smartphone app or simply at the roadside. Vehicles can be used immediately without advance reservation or they may be booked in advance via internet or smartphone app.